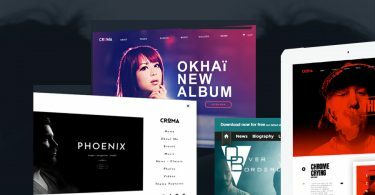 While the majority of WordPress themes are English language based, there are a handful that are specially designed for other languages; multi-lingual themes are becoming more available. 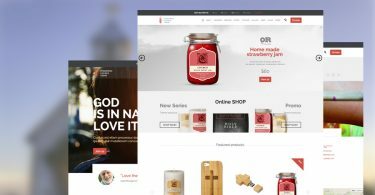 These themes have the same layout as any other WordPress design, however they have built-in support to display other languages, particularly those with different characters than the Latin alphabet. Here we are going to show you 7 Arabic specific WordPress themes and also some right-to-left language designs that are all multi-lingual ready. 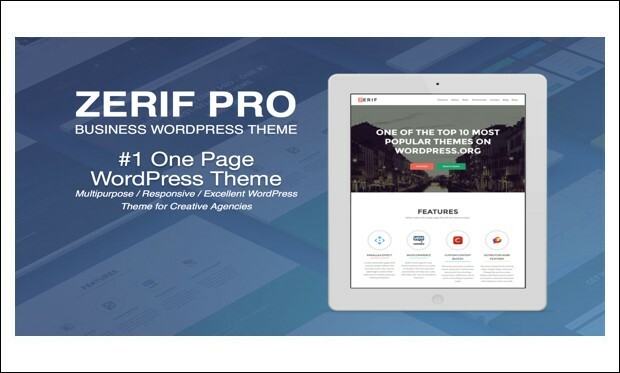 Zerif Pro is the powerful and creative RTL based wordpress theme that supports the Arabic language in the website. 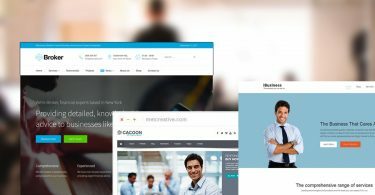 It is the modern and best business wordpress theme that help in creating the Arabic business websites and makes it stands out of the crowd. 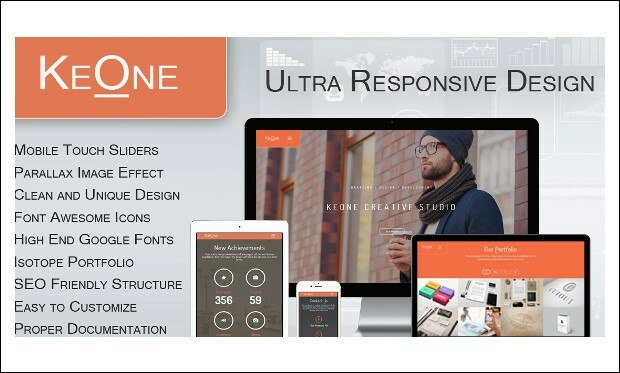 KeOne is the ultra-responsive wordpress theme that is RTL ready and helps in creating the responsive website in which the design as well as the images are also fully responsive and can bee seen effectively on any type of screen. It can be used to create any type of website as it has the best features. 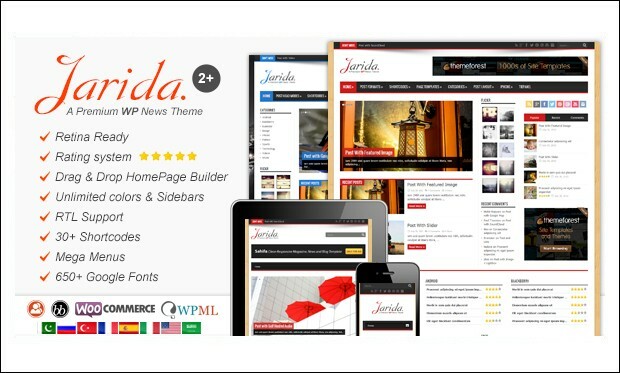 Jarida is the clean and responsive wordpress theme with RTL support that helps in creating the stunning Magazine, News and Blog. it is the perfect Arabic responsive wordpress theme which represents the Arabic content in an efficient and user friendly way. 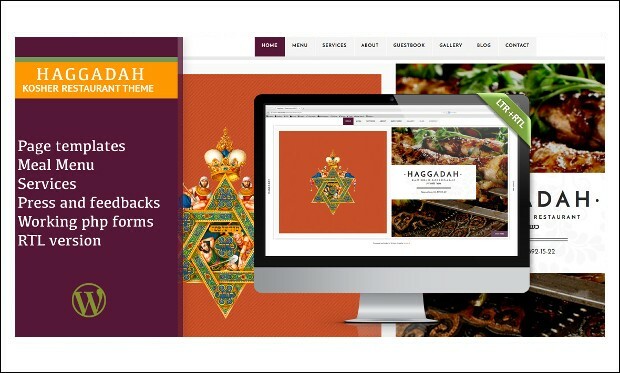 Haggadah is the simple and modern responsive wordpress theme designed specailly for the café and restaurant websites. It is bundled with several page templates, custom post types wrapped in plugins, custom widgets. It is designed with Middle Eastern touch along with the RTL support for Arabic websites. 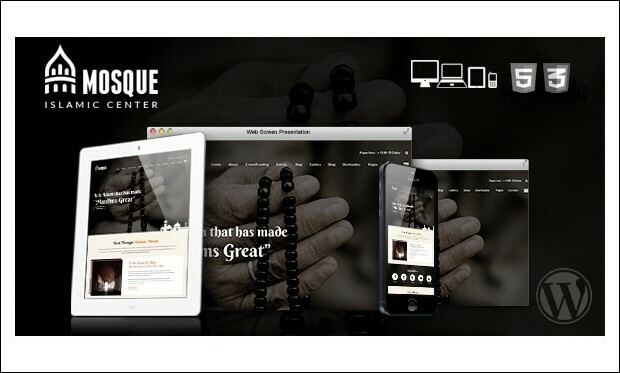 Mosque is the creative and fully responsive wordpress theme that comes with all the features required by an Islamic site like Event Management, Crowdfunding, PayPal Donations, Gallery, Islamic Teachings Management, Audio & Video Management, and RTL and Online store using WooCommerce. Bilio is the RTL support wordpress theme that supports the creation of the Arabic websites for manufacturing, heavy equipment, construction and spare parts sales. It not only supports the Arabic sites but also various other languages websites too. 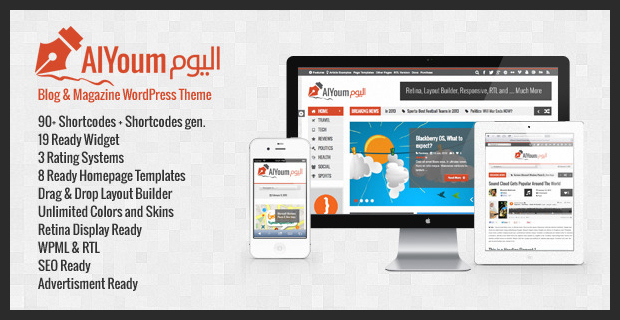 This fully responsive WordPress theme is designed with Arabic in mind. It features an impressive slider on the front page with widgets at the bottom and looks clean & modern. 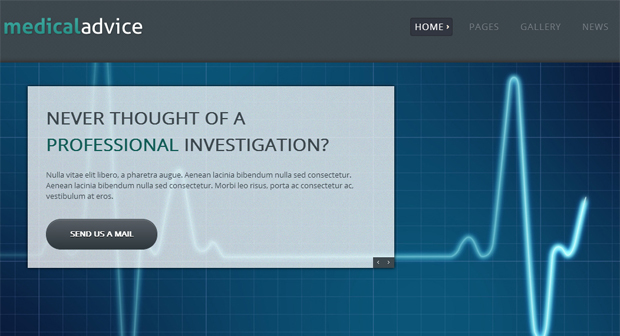 The drop down menu also adds a layer of interactivity to the overall design. Another Arabic inspired theme from Theme Forest. 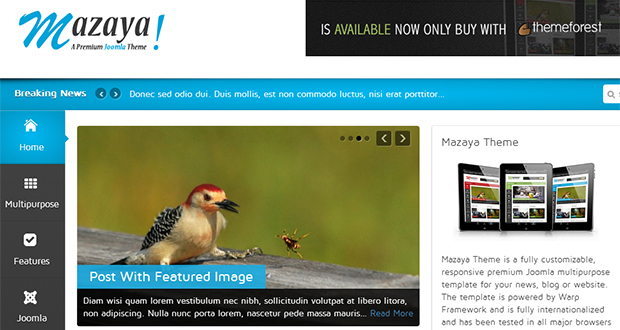 Mazaya can be displayed in a boxed or full width layout and has several different color schemes. 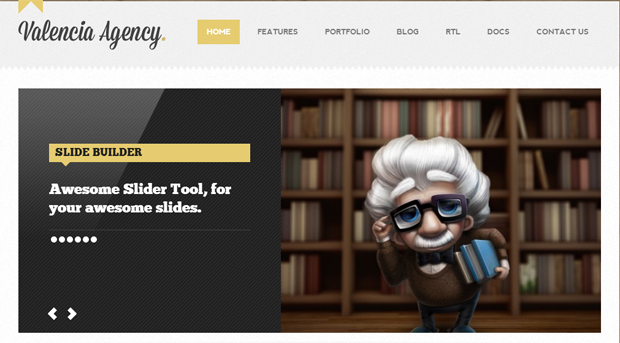 With a well-designed vertical menu, this theme can be used as a personal blog, news site or for professional usage. Valencia is a theme that supports a variety of languages, including Arabic, without the need for additional plug-ins. It formats itself responsively for tablets & other mobile devices, and has infinite scrolling built-in for portfolio or blog use. 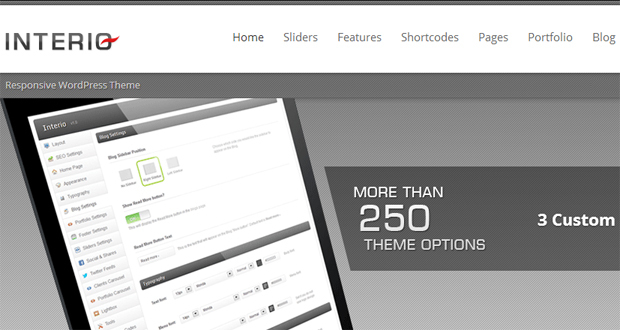 This AlYoum theme provides a sleek look as does the drop down menu. Multi-lingual and especially tailored towards Arabic, the theme is great for a portfolio site or as a good theme for an authority site. Arabic inspired, fully responsive WordPress theme. 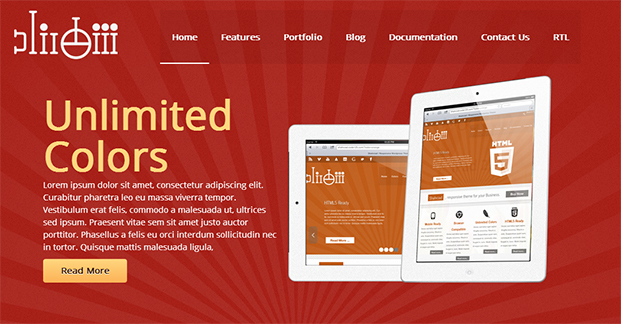 Unlimited color scheme, professional layout and easy to use admin panel are some particular highlights of this theme. A news and magazine style Arabic theme. 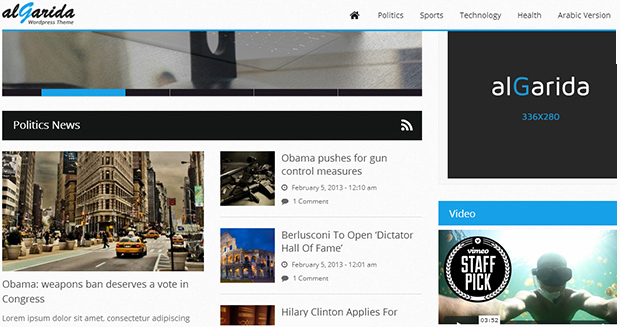 Algarida is professional looking and perfect for displaying news items or articles in a magazine format. Has an unlimited color scheme and a straightforward admin panel for editing. 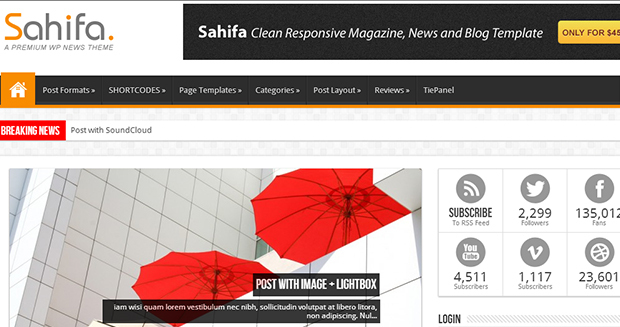 News, blog and magazine styled Arabic WordPress theme. It can feature 10 boxes on the homepage, comes Arabic language ready, has 35 custom widgets. 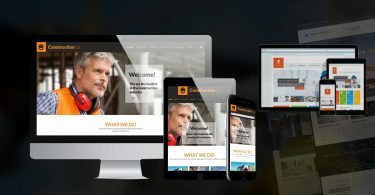 The theme is also responsive, so has been optimized for tablets and smartphones. 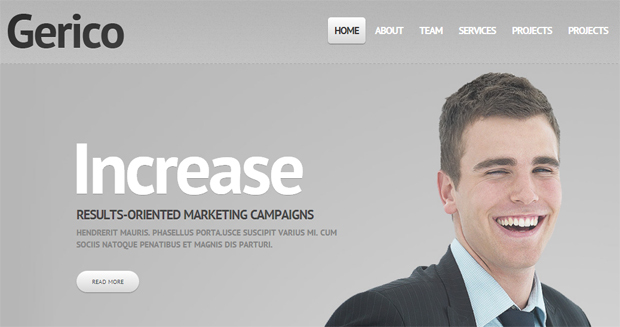 A fully responsive and right-to-left language-supported business theme. Arabic can be added as language and the professional, clean-looking design of YA Business makes it suitable for an Arabic-based business site. 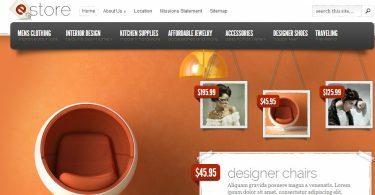 This multi-lingual, right-to-left language supported responsive theme is ideal for a portfolio or blog site. It has a full width and boxed layout with the ability to include Arabic as a supported language. Islamic is a multi-lingual theme with support for right-to-left languages. It has a very clean, straightforward layout and is great for a magazine styled blog or professional site. 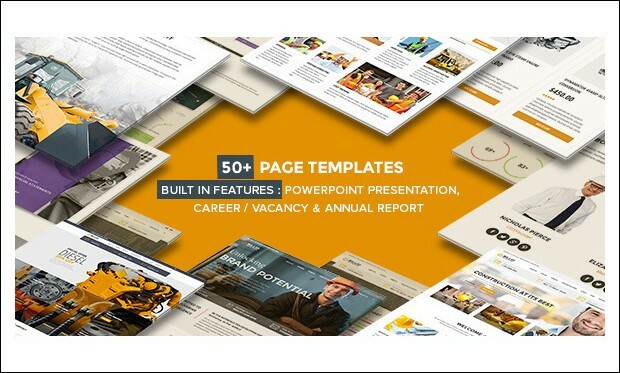 It comes with a built-in post slide-show feature and a variety of page templates ready for use. Copyright © 2018 wpresponsivethemes.com | All rights reserved.